Under breezy rainfall, only six diehard sketchers showed up at Jefferson Park this morning for our Friday ad hoc outing, but by the time we started sketching, the rain was barely spitting. 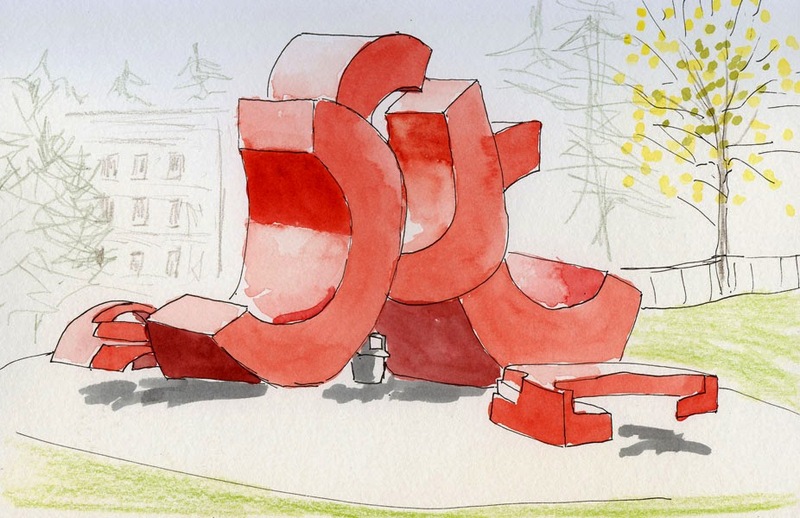 Underdressed (my head is still in Brazil, I guess), I got chilled sketching this bright red sculpture, which doubles as a skateboarding structure. Apparently boarders aren’t as hardy as sketchers, because none came to use it while I was there. 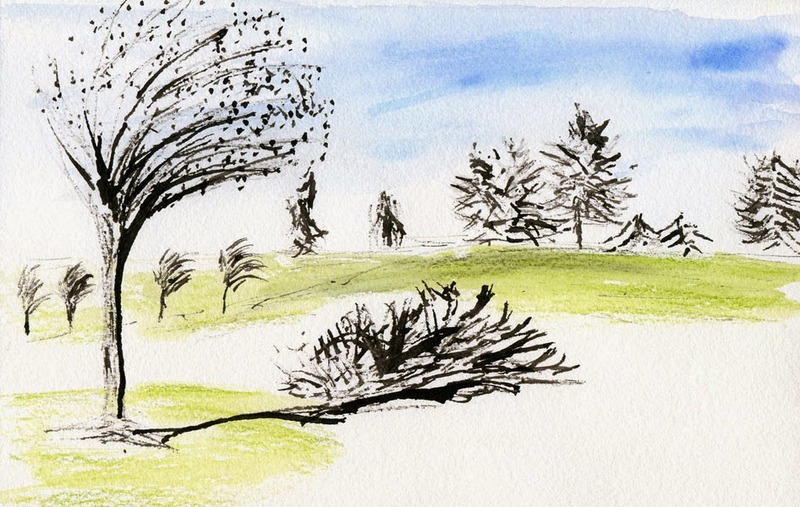 After walking around the park twice trying to find a place that would block the wind while I sketched, I didn’t find anything, so I settled for a view of some wind-tossed trees. Using a twig and India ink again, I added a touch of color this time. We welcomed Hong Kong urban sketcher Ben Luk, a first-time visitor to Seattle, who joined us. “Is it always like this here?” he asked about the weather. I let him know about our nearly-record-breaking beautiful summer that apparently ended on Monday.